Well, when it comes to a discussion about AR Rahman, calling him a music maestro will be a huge understatement. Known as the Mozart of Madras, Mr. AR Rahman has bagged immense awards, starting from Grammy to the national film festival awards. Undoubtedly, he is one of the most talented and prestigious music directors of the world. Starting from Bollywood to Hollywood to Tamil cinemas, Mr. Rahman has successfully made his mark in every genre of movies with his soulful songs. This music maestro has given innumerable hits, not only in Indian movies, but also in international movies. It is really difficult for us to select just 10 songs from his plethora of songs that AR Rahman has given to us. But still we have made an attempt to compile the top 10 songs created by AR Rahman. We are sure to miss out a lot, but according to us, these are the top 10 compositions of AR Rahman. Have a look! Initially, Rahman was quite content about his composition in jingles, but his mentor Maniratnam pushed him to carry on with his music composing talent. And this is how AR Rahman got the chance of creating music for movies. This is one of coolest peppy numbers till date. The gorgeous Sonali bender performed this song in a beautiful manner. Based on the communal riots, the movie was an instant hit and the music too is unforgettable. This was the first Hindi composition of Rahman along with original Hindi soundtracks. The song observed the revival of many talents that people thought had come to an end. Especially Asha Bhonsle. The song was a really cheerful one that would make you happy instantly, such was the creative talent of Rahman. Now this was once again a Mani Ratnam initiative. Well, we know that the movie did not do really well in the box office, but the songs were hit the moment they were released. Dil Se was one of the most common sad songs in the 90s. A huge number of people would relate to it, especially the heartbroken lovers. This song created a sensation throughout the world. And it offered Rahman with innumerable awards which he definitely deserved. With the huge success of this song, a lot of musicians made remix of it. But we definitely love the original version more, and we bet you too! This song was the anthem of the youth of this present generation, right at the moment it was released. And why not, what a power packed composition! The song generates a passion to take up what is rightfully yours without caring what this society is going to think about you. This youthful song was one of the many hits of Rahman. Both the movie and music received tremendous appreciation that took the youth of this nation moving to its beat. The song definitely had emotional overtones hidden within the subtle fun of the lyrics. This song is the perfect combination of both happy and sad emotions. Want to have some music to explore the rural India? This is just the perfect one for you. The song had that pure and raw Indian touch. The greenery and natural heritage of India, its picturisation and lyrics, makes this song even more soulful one. But you can’t just forget the creator, it’s the music of this song which makes it so cheerful to listen. Rahman had a complete hold over his compositions and fusions. And this is evident from this song where he uses more western music along with the combination of classical and folk. The song showcased Rahman’s talent on rural northern Indian songs and music composition. This was a groovy track with a folksy touch in it. But the song became an instant hit and chart topper. The song can also be said to be somewhat romantic as it portrays the passion for love. 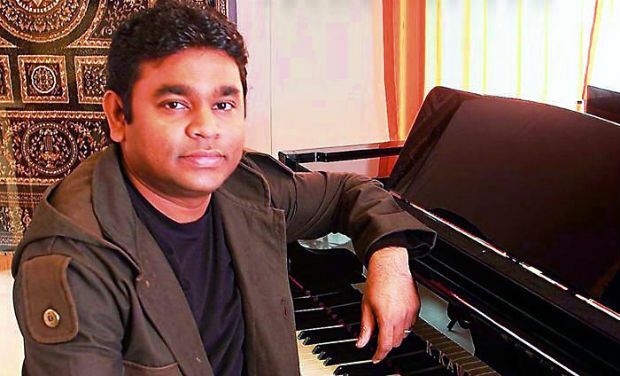 Well, we guess, now you know what makes Rahman such a talented creator of music.